Ford's F-350 is equipped with features designed for a solid and safe ride. Avoid damaging your vehicle when parking, thanks to a built-in back-up camera and reverse sensing system. Plus, make use of features like locking rear differential, fog lamps, heated mirrors with integrated turn signals, tow package and an 8.0-foot deck. Its smart device integration and onboard communications system are also welcome features. 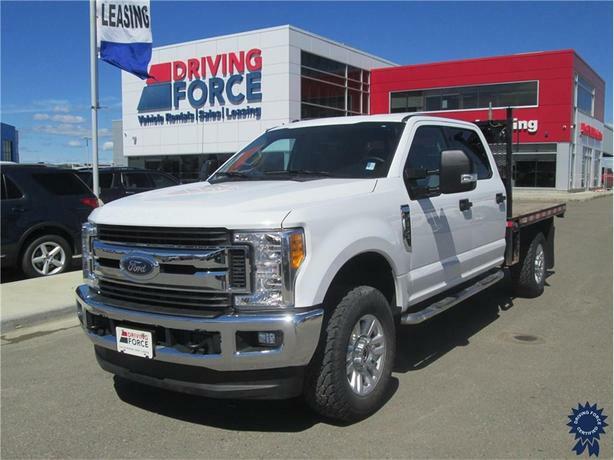 This 2017 model is built with a six-speed automatic transmission with manual mode, four-wheel drive and a 6.2-litre V8 engine. Give us a call today to learn more!